pina colada | What's Cooking at the Genua's? One of my favorite drinks is the Piña Colada. And not one made from a mix either, made from scratch. The flavors are so much better. But like all things we LOVE to eat or drink, most likely it’s loaded with calories and fat. One way to get that coconut/pineapple fix is with cupcakes! Using lower fat items we can still get that piña colada taste with fewer calories. Granted, it is not the same as the real thing but it’ll do in a pinch! 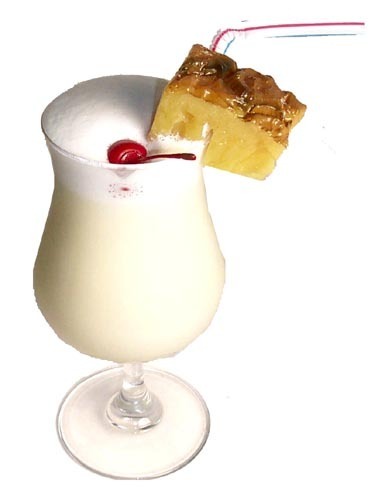 On average an 8 ounce piña colada has about 350 calories and over 10 grams of fat! One of these cupcakes has about 120 calories and about 2 grams of fat! You do the math! The cupcakes are sweet and I can’t wait to make them again! 2. In a medium mixing bowl, combine all frosting ingredients and mix till well blended. Refrigerate until cupcakes are ready to be frosted. 3. In a large mixing bowl, combine cake mix with pineapple. Add the coconut extract and mix until thoroughly blended. 4. Line a 12-cup muffin pan with baking cups. Pour cake mixture evenly into cups. 5. Bake for about 20 minutes, until a toothpick inserted into center of cupcake comes out clean. 6. Allow cupcakes to cool completely and frost. Refrigerate until ready to serve. Yes you read that correctly! I like to think I came up with this recipe since I did think of it on my own. Now if someone else thought of it at some point, more power to them! But as far as I know, nobody else has ever made them, that I know of anyway! I love to make JELL-O shots and if it weren’t for all the sugar in the jello I’d make them more often. I would gladly use the sugar-free JELL-O but I am allergic to the aspartame most of them have in it as a sweetener. And all the good flavors of JELL-O aren’t sugar-free. Then again if you’re doing JELL-O shots you are NOT thinking of counting calories. Like they used to say, “There’s always room for JELL-O!” At any of the parties I’ve served them everyone laughs. But then they have one, two, three…and they are hooked. I also have whipped cream available for topping them! I think I will make them for my next party! When I made them in the past I have used small plastic shot glasses, paper shot glasses or some other type of small cup. But the plastic is tough to get the shots out of and the paper cups tend to leak before they “jell”. Plus they take up a ton of space in the fridge. So from now on I am going to make them in a flat container and just cut cubes or scoop it out into small cups. Easier for everyone! Add boiling water to JELL-O and stir to dissolve. Let cool to room temperature. Add the rum and stir. Pour into a pan or tray and freeze or chill until firm. Have fun! Place all ingredients into a blender. Blend on high-speed for about 30 seconds, until mixture is smooth and completely blended. Serve in a tall glass! 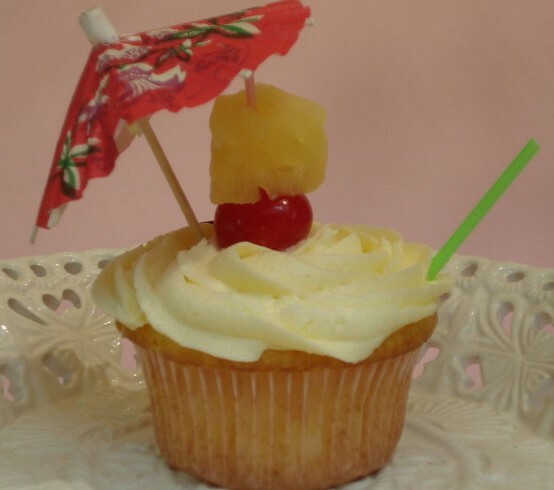 Top with a piece of pineapple or cherry or fancy umbrella! ** If you can’t find the sugar-free coconut syrup you can use the following: 3 ounces water, 1½ teaspoons coconut extract and 4-5 sugar-substitute packets.